Or should I say it the weekend where all the stress and pressure of the past two weeks melted away. And also the weekend I bought a pressure cooker! I love my pressure cooker, it is so handy, hours of braising on the stove are over, now everything can be smack bang and done in less than 30 minutes! 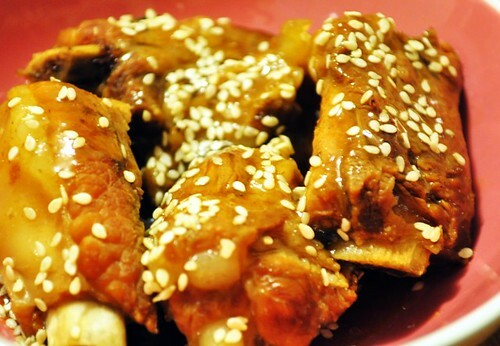 And the rock sugar and vinegar spareribs are still yummy!! 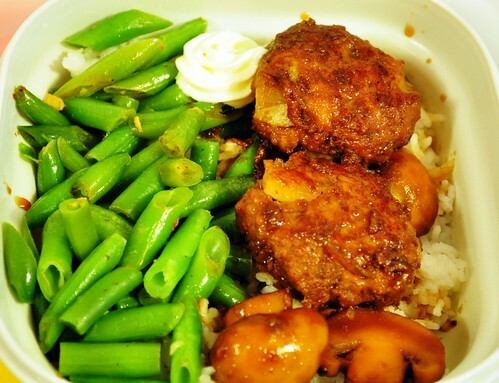 Teriyaki hambagu, stir fried long beans and rice. 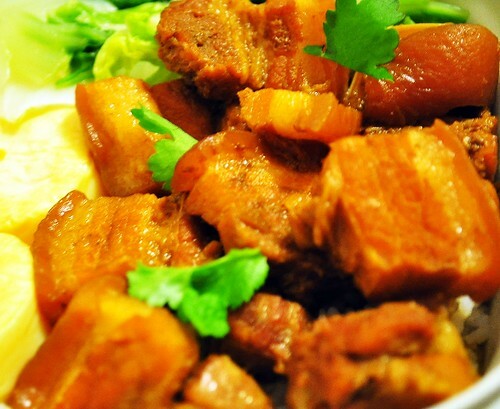 Not cooked in a pressure cooker but done traditional style. Don’t worry Jo, I will be making these for you when HC is away in Kuching. 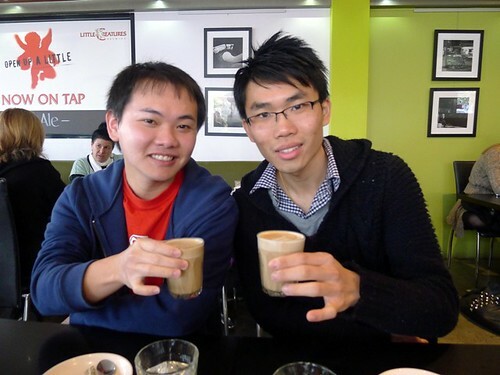 Vietnamese dinner with Gerry and the cute couple on Saturday night. Teh tarik at the bad Makan2, teh tariks still good but service still very very bad. Weekends should always be this good. It’s over!! And I survived Y(^_____^)Y can’t describe the joy and relief that this part of my life is partially over, and best of all, it’s now the weekend!!! Anyway, now that I’m more free, I can finally get on to the Bali post. I’m ashamed to admit that our first meal in Bali was KFC.It was close to midnight when we arrived so we didn’t dare to wander out far, every shop was closed so we had to settle for the finger lickin’ good chicken. I must say KFC is better in Bali. 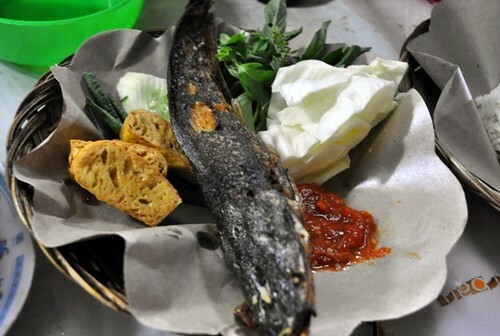 Especially when washed down with our first Bintang beer. Early the next morning, we explored the area around our hotel which is located smack bang in the middle of touristy Kuta. It was exactly how I imagined it to be, only possible even more touristy and noisy. There were touters at every corner selling tour packages, spas, massages and every possible souvenir you could want. We even had people offering us ‘magic mushrooms’…. 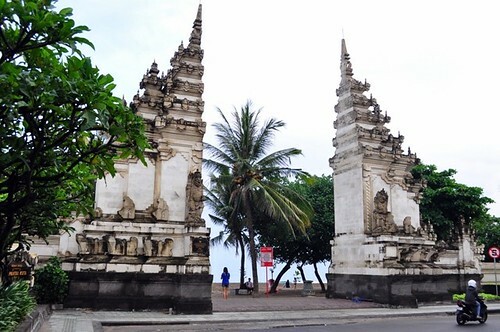 The entrance to the infamous Kuta beach. To tell the truth, we didn’t do much beach activities in Bali and avoided the Kuta beach.The beaches in Perth are way more beautiful, so I wasn’t really impressed. 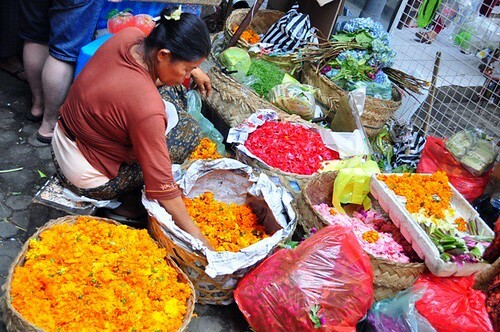 A Balinese woman preparing the spiritual offerings for the day. Time for our first breakfast in Bali. We had it at Made ‘s Warung (Br. 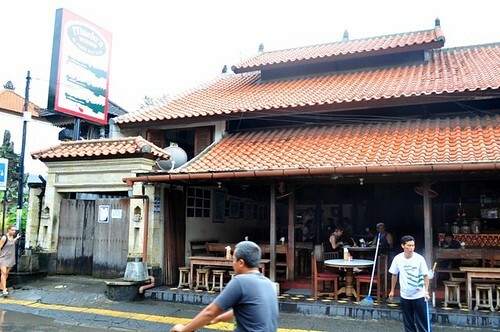 Pande Mas, Kuta, Bali), the famous and popular warung (Bali’s version of kopitiam). Surprisingly there was no one there and we were the first customers of the day. 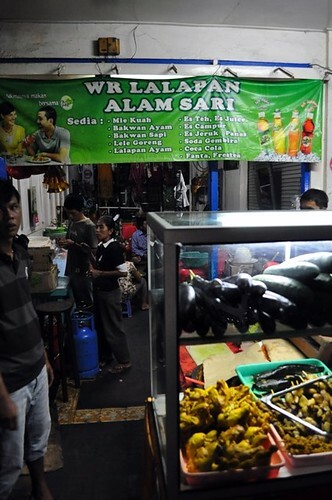 Later during the weekend we saw lines queuing outside the warung, it’s really very popular. 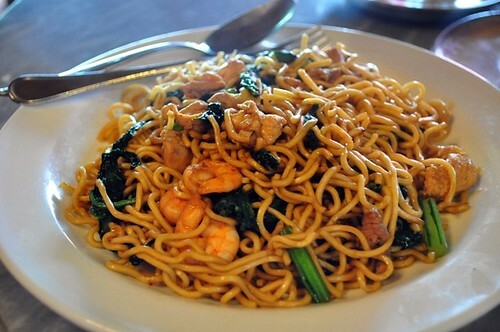 Our first mee goreng! 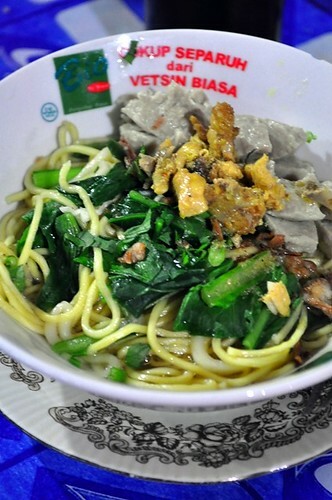 I always have a laugh when Australians chat about the local food they had in Bali, it never strays far from two dishes, ‘mee goreng’ or ‘nasi goreng’. 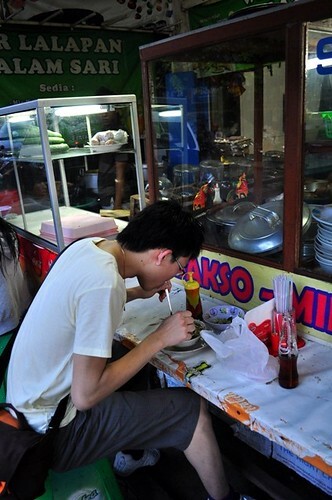 I just felt it had to be my first meal in Bali. 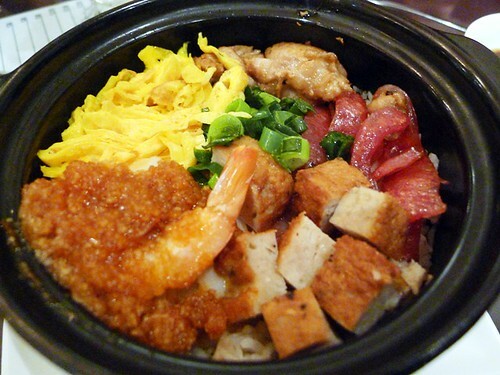 Was it similar to my favourite Indo mee? Not quite, the noodles were bouncier, and a lot saltier. A bit too salty for my liking, but still tasty. Balinese coffee. 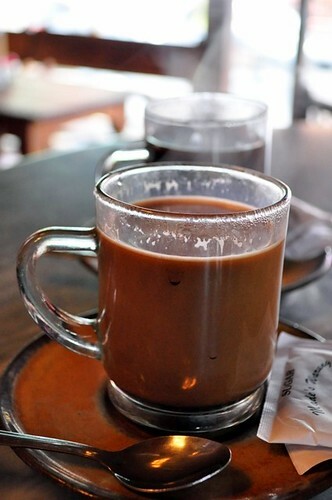 I liked Balinese coffee, it’s strong and sweet. The rest of the day was spent shopping, we discovered our favourite shopping mall in Bali, Matahari. I love shopping 🙂 . One thing I remember about our trip, there was lots of walking involved. We walked to the ‘high end’ Discovery Mall where there were less people. Only for one thing. BREADTALK! Gosh, I love those pork floss buns. 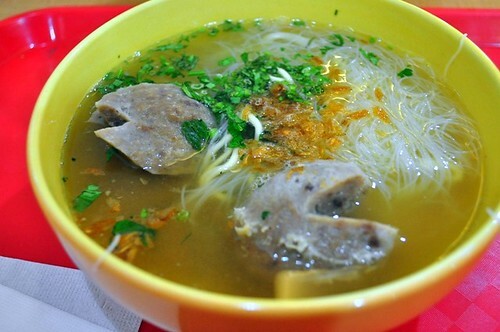 A simple lunch of Bakso (meatball soup dish) at Es Teler 77, a popular fast food outlet located all over Indonesia. At one point we even had one in Perth but it closed down much to Jo and Gillian’s sadness. 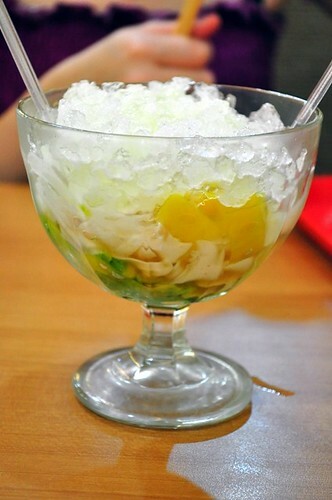 Can’t go to Es Teler 77 without having Es Teler, which is a mixed fruit ice drink with nangka, avocado, coconut. I prefer ais kachang in Malaysia, but this was refreshing too. 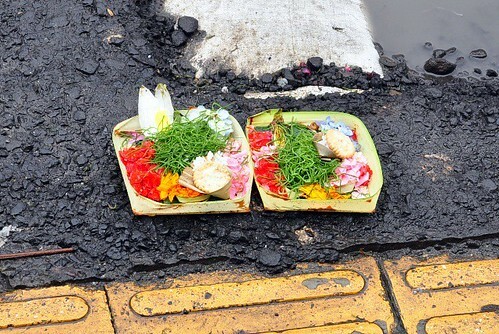 One warning about walking in Bali, it’s a terrible walking place. Traffic is terrible. The walking paths are non existent and if they are around, in very bad condition. You’re sharing the roads with the zooming motorbikes and beeping cars. Another thing about Bali, be prepared to get beeped every other second. 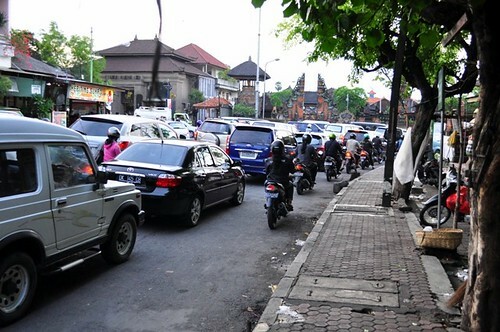 Balinese drivers are very toot happy. They toot when they think you’re walking too close to their vehicles, they toot when they want others to give way to them, when they’re overtaking, if they’re taxis, to tell you they’re available. They toot each other in greeting, and they toot at passing animals too. It’s pretty annoying but you get used to it after a while. 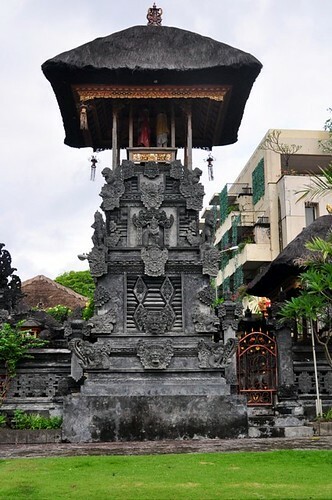 You see temples and shrines dotted all around Bali. We walked around for quite a while and found the Kuta night market. Not the pasar malams that we’re used to in Malaysia, but it was nice to see these local food stalls after passing by all these western restaurants catered for well, westerners.This is our all time favourite food stall in Bali, we loved it so much we visited four times! 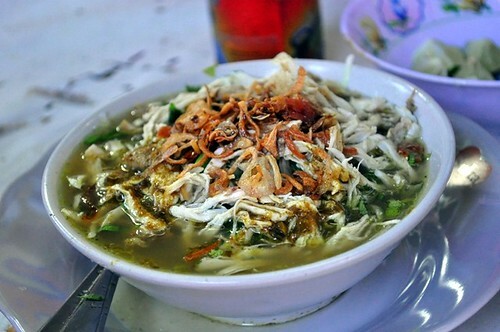 And everytime, R had the soto ayam which is a chicken noodle soup dish. I can’t quite describe it, it’s peppery, great flavours of ginger, garlic, spices, fresh with scallions, fragrant fried onions, it’s just a really really tasty bowl of soup which is a burst of flavours and nothing like anything I’ve had before. 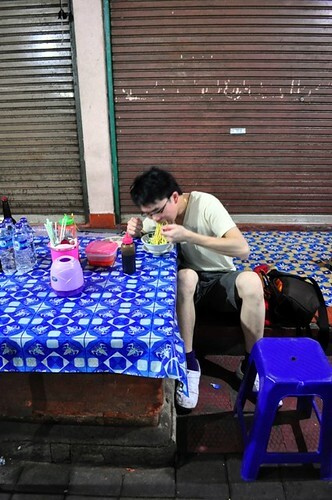 R tucking into his soto ayam by the roadside. He was so pleased with this bowl, he had it the next night. Hahaha. And again a few days later. While R had the soto ayam, I settled for deep fried catfish which came with really spicy chilli (which burnt my tongue but I still couldn’t stop eating), fried tofu and rice. The fish was great, moist and juicy with the crispy skin outside. 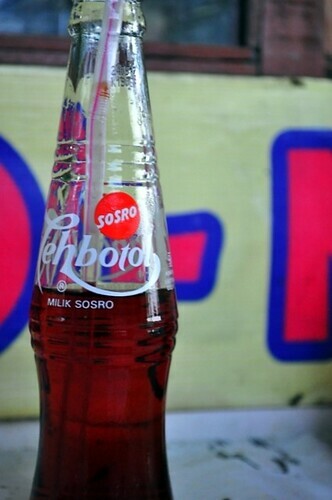 All washed down with the national drink of Indonesia, teh botol, sweet iced tea. I drank quite a few bottles of these in Bali. 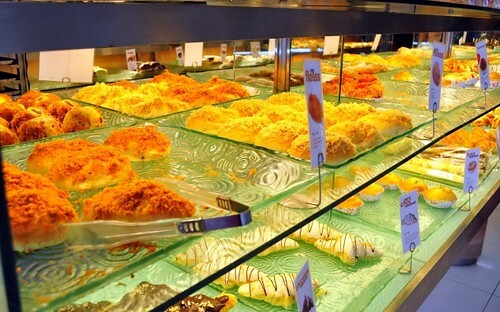 Snack food, Indonesian kuih which is similar to Malaysian kuih. 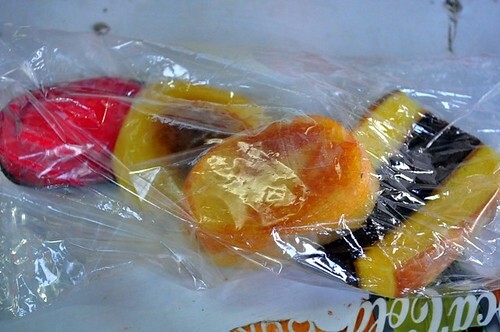 I was really happy to eat these coz I was really missing kuih in Malaysia. These makeshift tables and chairs are set up around the roadside around 5 to 6pm and the stalls go on till 5am in the morning. 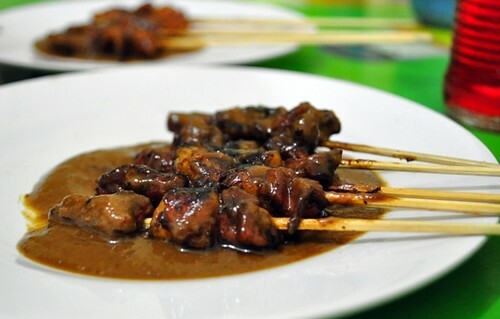 Sate in Bali is different from those in Malaysia. We had chicken and lamb satay skewers marinated in gorgeous sweet sauce, the satay sauce was great and I only wished I had ordered rice to go with it. Afterwards we had a gule which is lamb stew soup from the same stall and it was really nice. End of day 1 in Bali. All the noise, pollution, traffic and touters were a bit annoying but otherwise we still had lots of fun exploring the Kuta area and really enjoyed the local food. More next time, now I’m back to celebrating the return of my old life and the weekend!! Happy weekend everyone! I’m sorry for the delay in posting up the Bali blogs. I’ve actually had Day 1 of the pictures in a draft post for the longest time, but everytime I get around to writing something, I stop and switch off the computer. The past week has been so terrible, even worse than I imagined it would be. I felt like every second of the day I was living and breathing in that terrible legal space and surrounded by th worst people imaginable. Seriously, some of my coursemates even named themselves ‘the Snakes’. It was on my mind when I fell asleep at night and I awoke every morning with dread and depression. When I wasn’t completely stressed out, I would question myself, why did I sign up for it, do I even need this, is this even a path I want to consider or take. But that’s sort of in the past tense now. I’m not saying I anticipate this coming week to be better (thank god it sort of ends on Friday, this will be a major countdown). But towards the weekend, I reminded myself that this 2 weeks is just a really tiny part of my life, and when it’s over, I can look back and decide whether this is something I want to go through in my future career or life. It doesn’t have to be that huge or stress laden. It helped that I took time out of that crazy cycle to indulge in normal activities. There was eating out on a Friday night. Ramen on Saturday. Even taking time for some grocery shopping and doing a bit of cooking in the kitchen today helped to remind me that my life isn’t usually like the past week, and that there are simple pleasures in life. So here’s wishing I survive till this Friday without killing anyone or suffering from a nervous breakdown (^__^). I’m back from Bali! Just in time for Duan Wu Jie a.k.a. Dragon Boat Festival. 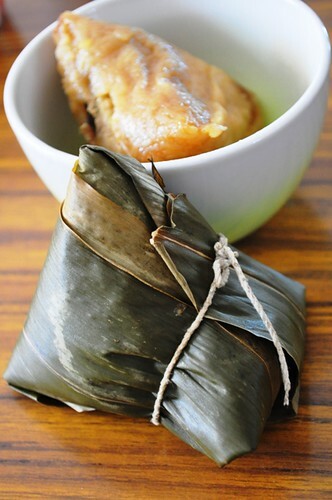 Of course I followed the tradition of the festival by eating zhong zi/ rice dumplings. I’ll put up photos of Bali soon, it was an interesting trip with highs and lows. Worth a visit but I’m not sure I’ll return anytime soon. We still managed to have lots of fun though and consumed lots of nice local food.But I must admit, I’m glad to be back. Now it’s back to reality and the start of a grueling two weeks of being back at school. Yucks. Back to hitting the books for me. Hope everyone had a nice Dragon Boat festival!